The broadest market is the Mainstream Audience. This includes parents and grandparents of minor children and young adults. In addition to general news content, the Child IRA can be included in stories targeting groups containing these individuals. These associations range from local groups like the PTA to national organizations like AARP. 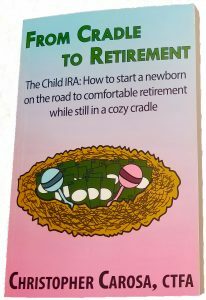 Publications with special issues designed for wedding planners, expectant parents, young families, and even senior citizens will find opportunities to include information about the Child IRA. A subset of the Mainstream Audience, the Family Owned Business Audience has a clear an immediate interest in the Child IRA. Family Owned Businesses have specific advantages when it comes to establishing Child IRAs. Publications either specializing in small business and family-owned business as well as publications which run special sections to these markets are ideal for including stories about tax saving strategies associated with employing your children and establishing Child IRAs for them. This is a niche audience but one that is constantly looking for new and innovative ways to add value to their clients. They would be especially interested in discovering ways to better serve the meat of their market: Young executives and wealthy families. Furthermore, and this is especially true of tax advisors, many of their clients operate family owned businesses. Since the Child IRA is particularly attractive to the Family Owned Business Audience, these financial professionals will want to learn more about incorporating the Child IRA into their business model. While articles to this audience can sometimes find their way into general publications (most often in the business section), they are best suited for financial industry trade journals. The advantage these publications offer over general publications to the ability to create content with greater depth.